Imagine a window expanse just too big for anything else, or the need for a room divider for those times where you just need some quiet. 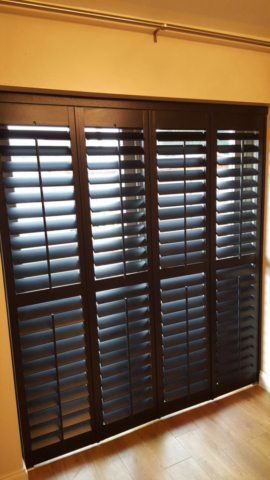 Track shutters are so flexible in their design, a clever by-pass system even allows them to be used as wardrobe doors. 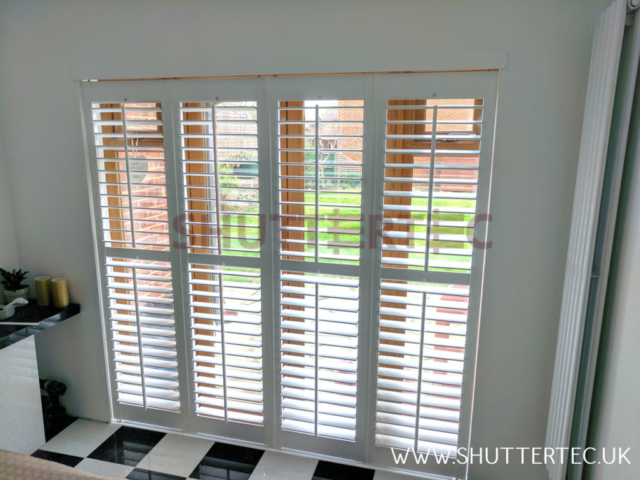 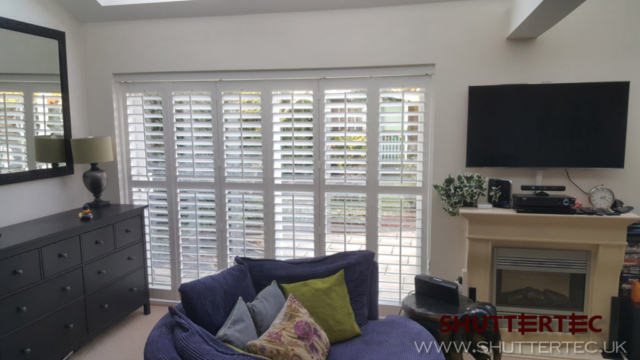 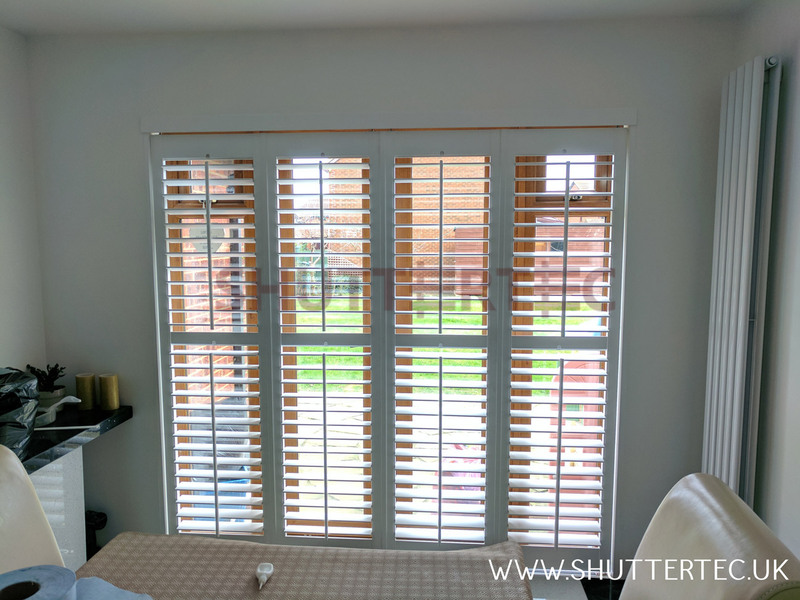 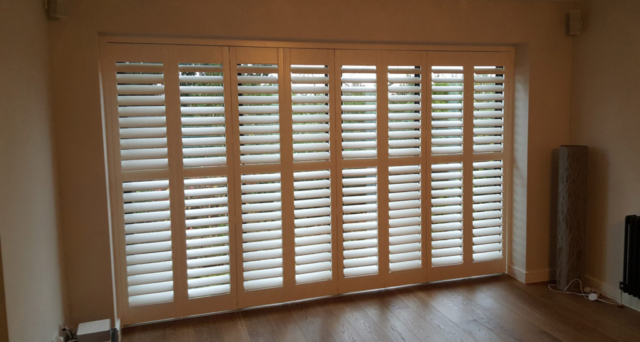 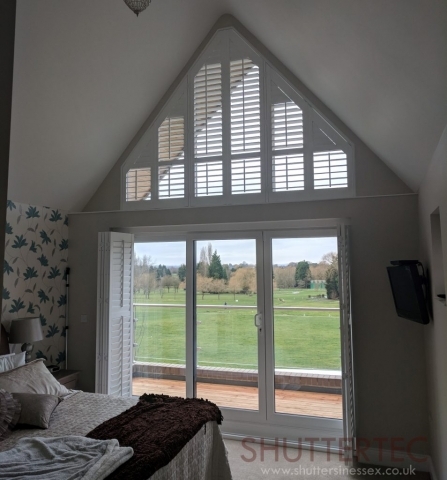 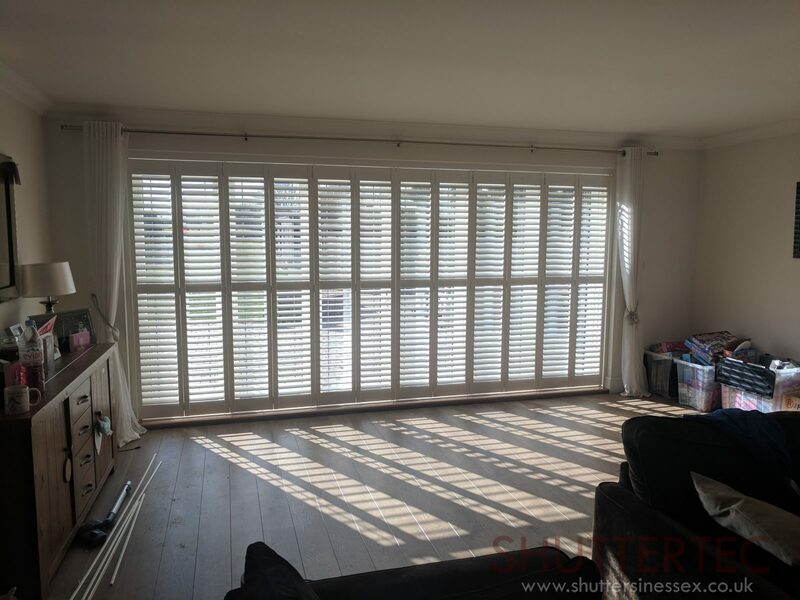 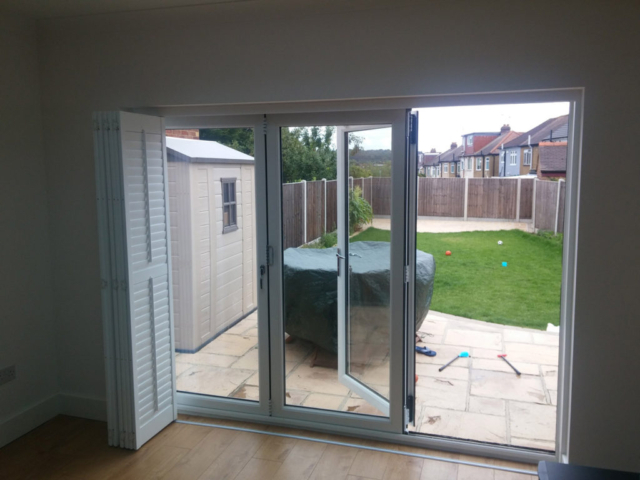 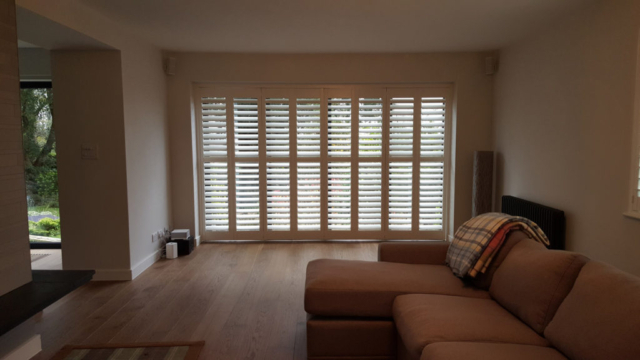 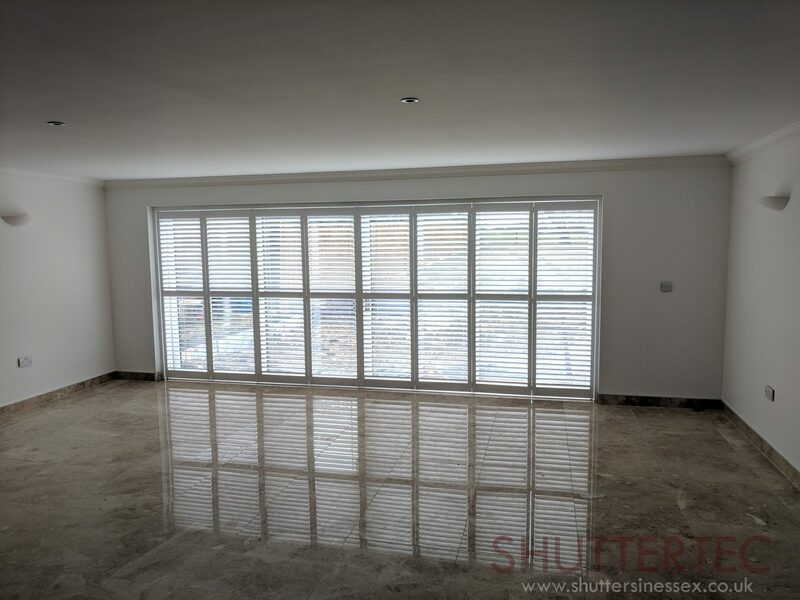 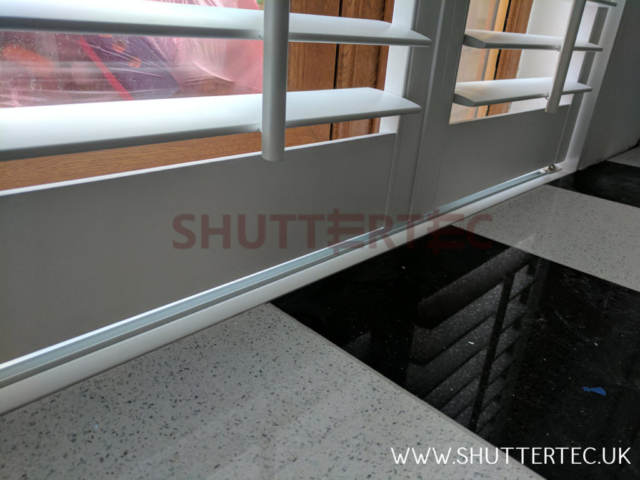 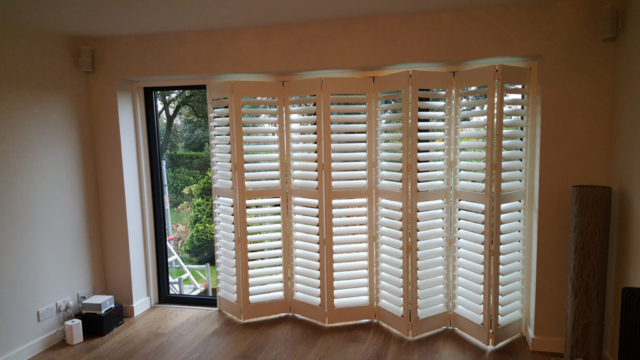 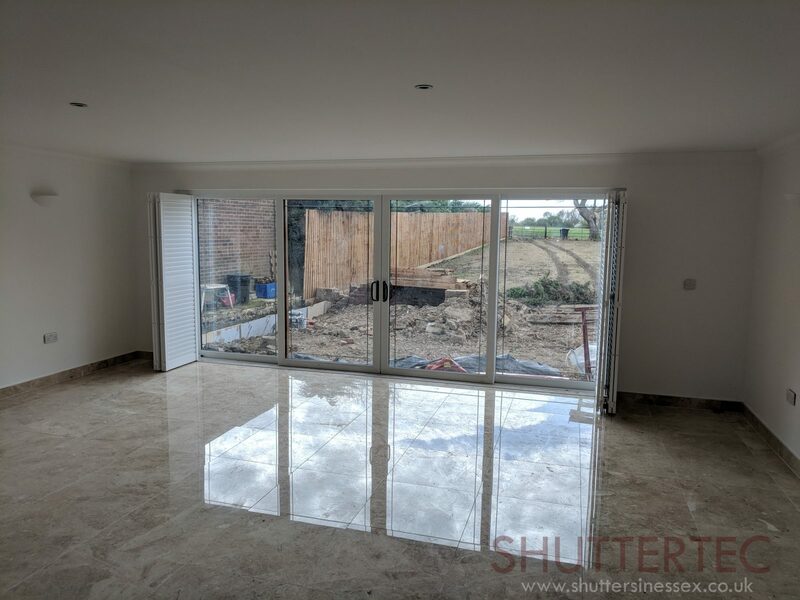 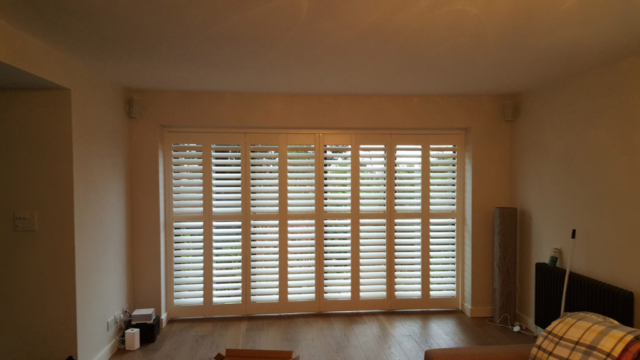 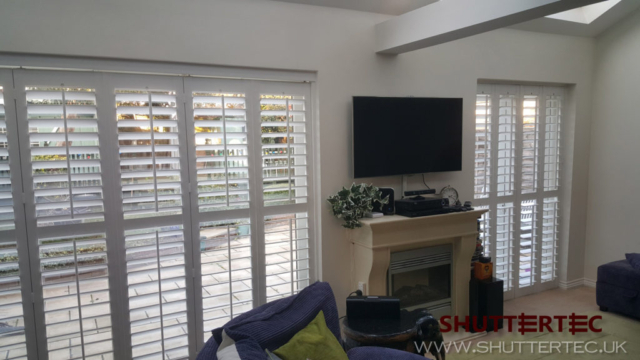 Often used to wide expanses where standard shutters will just not fit, doors bi-fold and slide to the side leaving all of your window on show, tucked neatly out of the way. The rolling top track system means all the weight is on the top and the doors will never drop. Examples of Tracked Shutters we have previously installed.